This is Part 2 of the Disclosure From the Perspective of the Embryo Donor Offspring series. If you missed Part 1 and want to catch up, please scroll below or click here. How Should Embryo Donor Offspring be Told About Their Origins? I wrote in the third segment of this blog series about the best time to disclose genetic identity to embryo donor offspring. I believe that disclosing this information before children are ten years of age may be far better than waiting until they are older, which significantly increases the probability they might be unsettled with the information (Mahlstedt PP, et al. 2010). One of the interesting themes in our surveys has been the consistent finding that the vast majority of respondents would want to know about their origins before age 12 with 91% (10/11) certainly before the age of 18. If Open-Identity were to be practiced in embryo donation, connections between the offspring and the donors may best occur far earlier than what is currently seen with adoption. Experienced mental health professionals may prove invaluable in helping parents present this sensitive information. Reproductive endocrinologists well versed in this topic may also be very useful in deciding how and when to tell children. Forums where parents can discuss these issues with other parents who have experienced them may also be indispensible. I soon will be reviewing a children’s book on this very topic, sharing my thoughts about it with my readers. So stay tuned. Members of donor-linked families may have a significant mismatch regarding their levels of hope and expectation about contact (Scheib E, et al. 2008). Some of the participants may have a tendency to romanticize the first meeting and subsequent relationship. My simple recommendation at this time is to move slowly and carefully, without inappropriate expectations. It is exceedingly important that the relationship between the parents who raised the child and the embryo donor offspring not be harmed, as this is the basis for the child’s stability and home life. The fear that this relationship will be damaged is one of the main reasons recipients prefer to not disclose. Remember that little is known about long-term consequences following disclosure and the subsequent contact between embryo donor offspring and their genetic parents and siblings. The complex emotional interplay between embryo donor offspring and the parents who raised them, the embryo donors and the offspring’s genetic is completely unknown. This area of research is sorely needed. In our most recent survey, 68% of the respondents would tell immediate family, their own children and their significant partners about their embryo donation origins. The only hesitancy involved friends with 40% (4/10) stating that they would not disclose. Once again, the long-term consequences of disclosure remain uncertain with some societies and religions perhaps being less than welcoming to an embryo donation-conceived individual. It would be irresponsible for us as clinicians to assume that all will go well. We must remain cautious and counsel our patients carefully and individually until we have more information to help guide them. Will the Embryo Donor Offspring Be Hurt by Not Being Told? Studies that have specifically examined the psychological well being of embryo donation offspring indicate that embryo donation families, independent of disclosure decisions, are faring well (MacCallum F, et al. 2007 & 2008). Warm parent-child relationships and positive child development have been documented although few of these donor embryo-conceived children have yet entered adolescence (Golombok S, et al. 2006). While more data and follow up studies are certainly needed, embryo donation children do not seem to be at increased risk for developing psychological problems during early and middle childhood, regardless of disclosure decisions. The children that were not told of their origin were do as well as those who were told. Children whose parents do not tell them about their embryo donor origin cannot suffer from lack of disclosure. Whether the parents tell or not, there is research to show that embryo recipient parents may be more attentive and warm to their offspring than natural conception parents. While not definitive, the research we have so far suggests that disclosure decisions, either for or against, will not cause irreparable harm to the embryo donor-conceived individuals or the parents who raise them. Currently, the legal rights of embryo donors and recipients override the strong desire of embryo donor offspring to learn more about or even meet their donors. There is a push to mandate disclosure, but the consequences in the world of embryo donation may be dire. It is quite likely that more embryos will be discarded or abandoned before donors will be forced into an open-identity process. Using terms such as “mother” and “father” for those who raised the embryo donor offspring should be maintained. The terminology that is used to describe the embryo donors can get confusing. It is my personal choice, but “donor mom ” and “donor dad” seem the simplest and kindest to all. Reproductive facilities need to prepare for disclosure requests and adhere to record retention guidelines, whenever possible, to avoid unfortunate lapses in information and potential legal consequences. I understand a donor-conceived individual’s strong desire to know more about their donors. I believe that providing the donor’s medical, surgical, psychiatric, family and social histories is quite reasonable when disclosure occurs. However, providing actual identifying information needs to be handled carefully and thoughtfully. Impartial research to examine the long-term consequences of open-identity issues in embryo donation is sorely needed. Since physicians take an oath to cause no harm, we all need a bit more information and guidance in caring for our patients, embryo donors and recipients. We must never forget, however, the embryo donation-conceived individuals, who were never our patients, are still owed thoughtful care and tremendous compassion. We have much to learn from them. In an Open Embryo Donation procedure it is likely the embryo donor-conceived individuals will be told of their origin. In an anonymous procedure, however, it is up to the embryo recipient parent(s) to make disclosure decisions. Reproductive endocrinologists are normally focused on the donor’s and the recipient’s legal rights/rights to privacy and we probably loose sight of the offspring’s point of view. These next two segments will examine this potentially neglected perspective: those of the children and adults created through embryo donation. Do Embryo Donor Offspring Have The Right to Know Their Origins? Many donor-conceived person feel they have a perceived right and a strong desire to know their genetic origins (Shehab D, et al. 2008). From an ethical perspective, these individuals feel disclosure of their true genetic origins involves principals such as honesty, trust and respect. Embryo donors and recipients, who may prefer an anonymous process, seem to have rights that compete with those of the donor-conceived individuals. In reality, both embryo donors and recipients have legal rights that are in direct contrast to the offspring’s moral view that family secrets shouldn’t be hidden. There is a very vocal and select group of egg and sperm donors who feel disclosure should be mandatory. It should be understood, however, that we are probably not hearing from those embryo donor-conceived individuals who have been told of their origins, but who are less vocal, perhaps feeling that disclosure should not be mandated or legislated. We simply do not know if this is a silent minority or majority. In many ways, there is no easy way to reconcile these contrasting legal rights and moral perspectives. Most agree, at the risk of offending those who feel differently, that in society ruled by law, that a legal right ultimately trumps a perceived moral right. Thus, the legal rights of donors and recipients continue to prevail in this country. That stated, if individuals are told they came from donated embryos, it is natural to expect they will want more information. Why do Embryo Donor Offspring Want Disclosure? For children born to a single woman or a lesbian couple, finding out more about the donors may increase their sense of kinship. Open-identity systems are being driven forward, in part, through single women and lesbian couple donor sperm recipients. These recipients are also the most likely to disclose because their social situation essentially requires it. For many, the search for their donors may go well beyond seeking just simple information. In two recent studies of offspring searching for their donor sperm fathers, with about half over the age of 18 and half under, between 80-88% were intensely curious about their donor and wanted to contact them. Up to one-third desired an actual relationship with the sperm donor (Beeson DR. 2011 & Bahlstedt PP, et al. 2010). It should be understood, however, that support group studies such as these might not represent a balanced patient sample. Donor offspring who are not bothered by the issue are less likely to seek information/support via the web and are, therefore, not enrolled in such studies. Interestingly, our recent survey on this same topic yielded nearly identical results with 82% (9/11) respondents wanting medical and/or identifying information on their embryo donors. What do Embryo Donor Offspring Call Their Donors and Recipients? These important labels have emotional connotations and I have listed them here in my personal order of preference. In general, reproductive facilities may not be adequately prepared to handle embryo donation disclosure issues. Medical providers’ first reaction will be to protect their patients, the donors or recipients. Nondisclosure of medical information is actually required by state and federal statutes and clear consent must always be provided before medical/identifying information is released to any third party. Most reproductive facilities are totally unaware of the adoption literature that universally advocates disclosure. Clinicians will want conclusive embryo donation studies before they will consistently recommend and comply with disclosure. They will also want to be insulated from any legal consequences should disclosure occur. Most medical practices will be operationally challenged to have records available years after procedures are performed. Most states require medical records to be retained for seven years. The FDA requires charts involved with third party conception techniques to be kept for 10 years, while the ASRM suggests they be stored indefinitely. Being able to identify those particular charts from the others charts is a logistical challenge. In my practice, we color-code the charts involving any type of donor material, making them easy to pull and save. In the case of natural disasters, paper charts may be destroyed. It is common sense that the medical practice should also save the information in electronic form with offsite back up. Keeping in mind that electronic document formats are constantly changing, we currently suggest documents be saved in the common “pdf” (Adobe Portable Document Format) file format, and keep the medical and identifying information separate. I also feel embryo recipients have a responsibility to keep the information about their embryo donors protected and safe just in case the practice’s medical records are ever lost or deleted. We will continue this discussion, on disclosure issues from the perspective of the embryo donor offspring, tomorrow. Included will be discussion of whether or not reproductive facilities are prepared for disclosure, long-term consequences and how to tell the offspring. The reference list will also be posted with the second half. Stay tuned! This is the fourth of a five-part series examining the complex decision-making surrounding the disclosure of the genetic origins of embryo donor offspring to family, friends and the offspring themselves. There were 11 respondents with the results examined below. 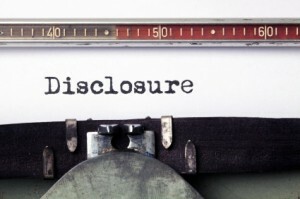 The first segment of this series introduced the disclosure topic and our first survey. The second segment (Part 1 and Part 2) examined disclosure issues from the perspective of the embryo donor, incorporating a survey that asked opinions from our readers. The third segment (Part 1 and Part 2) examined disclosure from the perspective of the embryo recipient, including our final survey. The results are discussed below. In this small study sample, the majority [82% (9/11)] wanted to know medical information about their embryo donors, with about half wanting identifying information. These numbers are similar to published data on the desires of egg and sperm donation-conceived individuals. The majority [91% (10/11)] would prefer to be told of their embryo donor origins before the age of 18, with most wanting to know at 12 years of age or younger. As I wrote in the previous blog, disclosure to the embryo donor-conceived individual after age 10 tends to result in feelings of mistrust, alienation, identity confusion, frustration and even hostility towards their family (Ethics Committee, 2004 & Mahlstedt PP, et al. 2010). About half of those polled would not try to contact the embryo donors while the other half would be interested in contacting their genetic siblings. Published articles on the topic suggest that most donor-conceived individuals are more curious, with many wanting to meet their donors. I believe that if given the contact information, most embryo donor-conceived individuals will become quite curious over time and will eventually want to interact with their genetic siblings and/or the embryo donors themselves. If one removes the “N/A” category, which didn’t pertain to some of the poll respondents, the majority of embryo donor-conceived individuals would tell their immediate family about their genetic origin, especially to their “significant other.” It would appear, however, that there was some hesitation to tell their friends the same information. Tomorrow we will release the next installment of this series – Disclosure Issues From the Perspective of the Embryo Donation Offspring. This will be released in two separate sections with the second half released the day after the first. Next week, we will release our final summary of this series, combining the perspectives of the embryo donors, embryo recipients and embryo donation-conceived offspring.